An Epic Adventure Ahead: MRG takes on … Reebok Ragnar Michigan! Posted on August 9, 2016 at 9:45 pm. Three years ago this very week I sprained my right ankle. Badly. I was less than a month out from a Labor Day weekend marathon, too. It was a big bummer, knowing I’d need to pretty much start my taper earlier than expected in hopes that I’d (pleasepleaseplease) toe the start line feeling strong enough to run — OK, probably slog through — 26.2 miles. The ankle sprain, by the way, happened during a trail race — a race that I’d heard would be technical in its final six miles. I discovered this to be true, especially at mile 14 when I took my tumble. But here’s the thing: I never once regretted running that 25K on the breathtakingly beautiful North Country Trail near Tahquamenon Falls State Park. Not for a second. I relished the experience of navigating switchbacks in the wilderness, climbing hills and re-filling my water bottle at the deep-in-the-woods aid stations, running alongside the flowing river and waterfalls…to this day, I consider this trail race one of my ultimate running experiences, one I wouldn’t change for anything and an event I’ve been trying to get back to ever since. Yes. Yes, I sure do. My most recent evidence of this: training for and finishing my first triathlon this summer. It makes perfect sense, then, that having the opportunity to participate in an entirely different kind of running race, one that covers about 200 miles and involves middle-of-the-night running with a team of other crazy-fun runners, would have me intrigued. Round up a group of friends to run along the shores of Lake Michigan, starting early Friday in one city and finishing Saturday in another. Going on little sleep, traversing all-new running territory. Well…why not? Let’s see what this is all about. Sign me up! 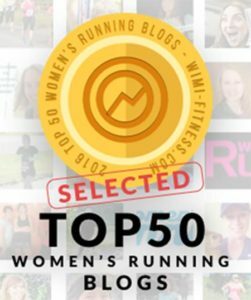 I’m thrilled to say that I’ll be taking part in this fall’s Reebok Ragnar Michigan on Sept. 30-Oct. 1, along with 11 other Michigan Runner Girls. It’s all part of a super cool partnership between MRG and the organizers of the Ragnar Relay Series. In the coming weeks leading up to race day, expect updates on the MRG race team as it prepares for this Muskegon-to-Michigan race, and also informative articles about Ragnar, including helpful tips for an amazing experience if you’re considering signing on for this team relay — or have already registered your own team. That’s right, there is still time for you and your friends to sign on for this inaugural Ragnar Relay in Michigan. And, here’s something special just for MRG readers and listeners to sweeten the deal: use the code MI16MMRG when registering your team to receive $100 off. Registration ends on Aug. 25 at 11:59 p.m. MST. Reebok Ragnar Michigan starts in Muskegon and ends in Traverse City. It takes place Sept. 30-Oct. 1, 2016. Take $100 off your team entry when you use the special code for MRG readers and listeners. Here’s what we do: long distance, team, overnight running relays that take place in the most breathtaking places in the world. Teams come together to conquer a course over two days and one night, and push their limits, on little amounts of sleep, with friends and a community of runners by their side. Your Ragnar experience is as competitive as you make it. Rally your team and battle the other teams in your division for the top ranking, or simply make it your goal to cross the finish line together! Ragnar is about coming together and accomplishing something we could never do alone. From an elite runner to the generally active individual, Ragnar is the perfect race for anyone. Conquer 200-ish miles of road running with 12 friends and 2 vans during a Ragnar Relay, or camp with 8 friends and conquer a set of gritty trail running loops at a Ragnar Trail. Reebok Ragnar Relay Michigan is a magical combination of fall colors, sugar sand beaches, massive dunes and wild Ragnarians. Teams of 12 or 6 will start the 200-ish mile relay in charming Muskegon where runners speed past historic ships and lighthouses with a van of teammates cheering them along each leg of the course. Teams make their way past apple orchards, cherry blossoms and rolling hills painted in vibrant autumn hues. As the sun sets, runners continue their relay through the night as a starlit sky and bouncing line of headlamps brighten the way. Gulps of crisp October air propel runners on their final miles to the finish line in Traverse City – home to some of Michigan’s finest wineries and the sapphire blue Grand Traverse Bay. A Ragnar wouldn’t be complete without a finish line party, hunky finisher medal and stories to tell for years to come. Find out what it means to find your #innerWILD and mark your running calendar for Sept. 30- Oct. 1. And if you’re already signed on for this race, please let me know — I look forward to meeting up with fellow Michigan runners at Reebok Ragnar Michigan! That’s awesome, Jennifer! Will this be your first Ragnar? I’m really looking forward to this new experience! Hope to meet you somehow! 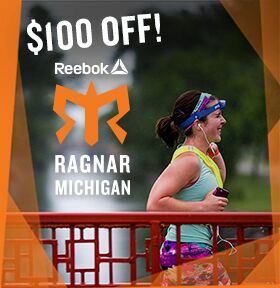 I’m signed up for the MI Ragnar! It will actually be my second as I’m crazy and am signed up to do the Northwoods WI Ragnar the weekend before too! Both teams are all about having a great time and experiencing this with fellow runners and friends. Looking forward to your posts in the coming weeks as we prepare! You will LOVE this experience! I did one several years ago, Minnesota to Wisconsin, and it’s crazy and amazing at the same time! If I didn’t have another race that weekend already I would’ve signed up for this race in our home state. Good luck, and Run, eat, sleep, repeat???? Hi there! Any chance you know of any teams needing a last minute addition? Thanks in advance!! It will be my first one :) Feel free to reach out to me directly! Running this too! Can’t wait will be running my first Ragnar !